How Relevant Is Your High Passing Score on the CPA Exam? Whether you barely passed the CPA exam or got the highest score possible, your score still proved that you have the required understanding needed to be awarded the title of CPA. It’s also important to remember that your score does not determine how good of a certified public accountant you will be. So is your final uniform CPA examination grade relevant above a passing score? The short answer: not to anyone except you. Your exam score simply states that you studied correctly and worked hard enough to pass muster with the AICPA, NASBA, and other state boards of accountancy and become a CPA. The breakdown of your score, however, can help guide your career path. Use your exam section breakdown (BEC, REG, etc.) as a hint to determine what field in accounting in which you would most likely thrive. But remember, this shouldn’t be the sole determiner for your career path. Does a High CPA Score Help When Getting Hired? You will hear all sorts of opinions about whether or not you should put your CPA exam score on your resume. Some people who sort through resumes who also took the CPA exam may hold it against you if your score is higher than theirs is. Others couldn’t care less about your score as long as you passed. And that’s the only part that really matters—passing this monster of a test known as the CPA exam. When there are hundreds of resumes for one job title, employers don’t have the time or desire to go through each person’s exam data files and rank them before making a hiring decision. This would be a pretty stupid way to hire someone since there are so many other factors that come into play. You should be careful when putting your exam score down because it can come off as arrogant if it is exceptionally high. This is especially true if you are the only one with a posted score among a pool of applicants who didn’t put their exact score down. But, what if you want to prove you went above and beyond to get such a high score? That’s fine—the only thing that matters is you passed, so just be cognizant of this notion and don’t feel the need to show off unnecessarily. Passing the CPA Exam is not like passing any other type of certification test. It is publicly known that this test is one of the hardest you can take. CPA candidates are required to commit hundreds of hours of study and possess an incredible amount of self-motivation. Therefore, passing the CPA Exam means much more than the numerical value of your exam score. A passing score of 75 says that you have the ability to take challenges head-on and a work ethic that goes above and beyond. It means that you have been deemed capable of practicing professional accounting in accordance with the National Association of State Boards of Accountancy (NASBA) and the AICPA. And that’s what matters most to employers, not your exact score. When employers are looking to hire a CPA, they need someone who is incredibly hard working in addition to the many other qualities that makes someone a stand out employee. Things like your background, extracurricular activities, skills/abilities, education, and whether or not you would make a good fit with the company’s culture are much more important than your BEC, REG, written communication, or final CPA score. This is important to remember when worrying about whether or not your passing score is relevant, because it means nothing compared to all the other elements considered to become a hired CPA. Despite the fact that a high CPA exam score isn’t the biggest factor when applying for jobs, it is still very important to shoot for the stars on the exam to ensure you pass! The prep courses reviewed on this site are designed to give you the best chance of passing on your first try, so check them out and get started on becoming a CPA. For additional analysis, check out our article on CPA exam sections and what order to take them in. 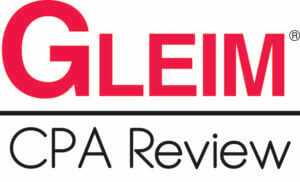 Or you can click below to read more about our favorite CPA review courses!